I would like to introduce to you Betty and Gerry Shockey. 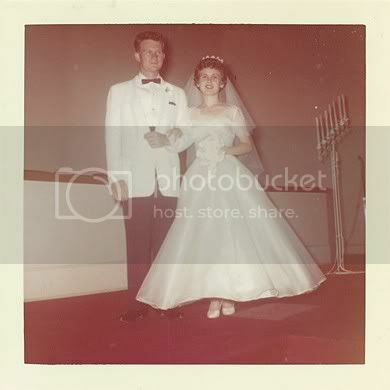 This year they will celebrate their 49th wedding anniversary and I have asked them to be a part of our blog series :: Brides and Grooms in Bloom :: Taking a look back at today's married couples' wedding day. I asked Mrs. Shockey to fill out a little questionnaire about her wedding plans and lessons learned after all these years of marriage. Here is what she had to write. 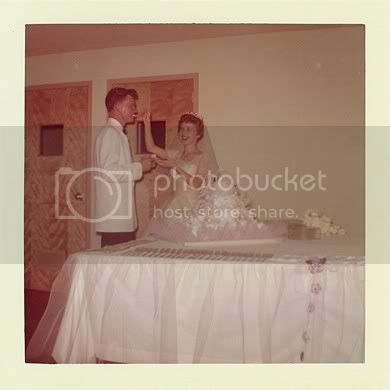 Q :: What was the most memorable piece of your wedding? A :: How absolutely happy I felt. It was such a peace and joy. Q :: What was the one regret you had on your wedding day? A :: That Jerry was in pain due to an ingrown toe nail, yet he wore a dress shoe. At that time it would not have been proper to wear a sandal. Q :: Who planned your wedding? 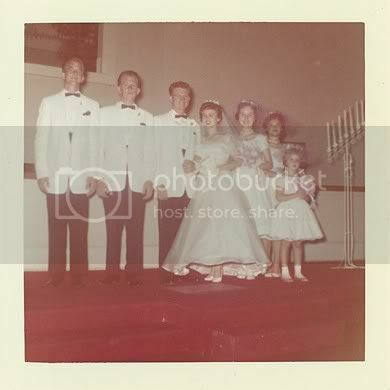 A :: I did, with Mrs. Shockey's (Mother of the Groom) help, because the Shockey's were very active at the church. My mother made my wedding dress and all of the bridesmaid dresses. Q :: What was your favorite part of the planning? A :: Probably the reception, everything seemed to fall into place. And it was so much fun to see all of our friends and family after the wedding. Q :: If you could change one thing from your wedding experience what would it be? Q :: What is the one thing most you like about being married? A :: The companionship we have. Jerry says the thing he likes most is "me". See, now you know why our marriage has lasted 49 years, He never criticises..never. Q :: What's your one piece of advice to newlyweds? A :: Do not place great expectations on each other. Do not place blame on one another. Marriage is not a contest. Do your best to be kind. Use the Golden Rule. Grow up, don't whine and complain. Yes share common interests, but fulfill you own interests. Love life. PS: see a marriage counselor if you are not a happy couple. Q :: Any additional comments, stories or advice to share? A :: I have to admit, I have been a very lucky girl. Jerry Shockey is a wise old soul and brought much wisdom into our union. And the biggest thing is that we like each other and love each other' too..remember you need to like one another first. Don't you just love the timeless look of their wedding details? 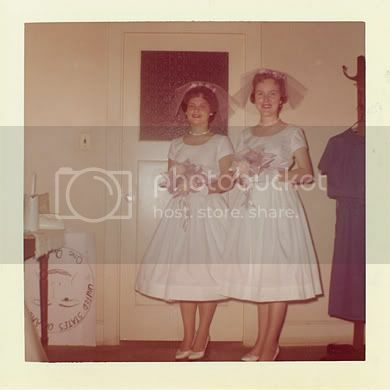 Isn't it interesting that the bridesmaids look like they are wearing white as well? I wonder how many brides would be up for that now? Thank you Mrs. Shockey for sharing with us your wedding thoughts and advice for our couples. 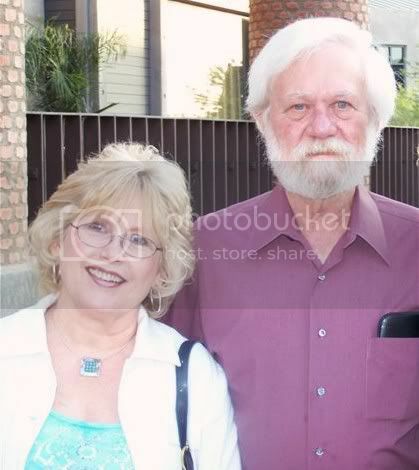 After 49 years of marriage we certainly learn a few things from your lifetime of love and commitment. If you are interested in showcasing your wedding day or know someone else that might please feel free to email us for the questionnaire. We would love to hear your stories.